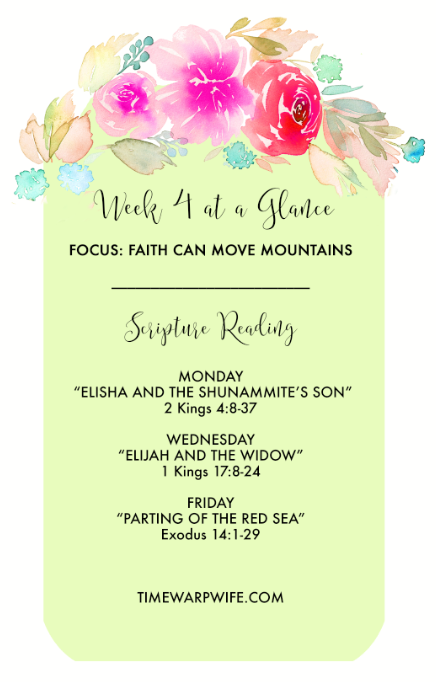 This week we study three miraculous stories. What I noticed about these stories, and those of the previous weeks, is that God is glorified when we put our trust in Him. 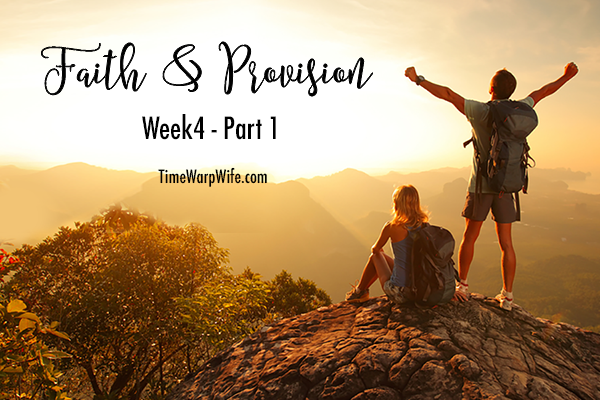 His provision comes by grace, and it’s often displayed in unexpected ways. Rarely the way that we think it will happen and always for the good of our growth. Faith is possibly the hardest thing to exercise. It calls us to sacrifice, to humility, and to patience. 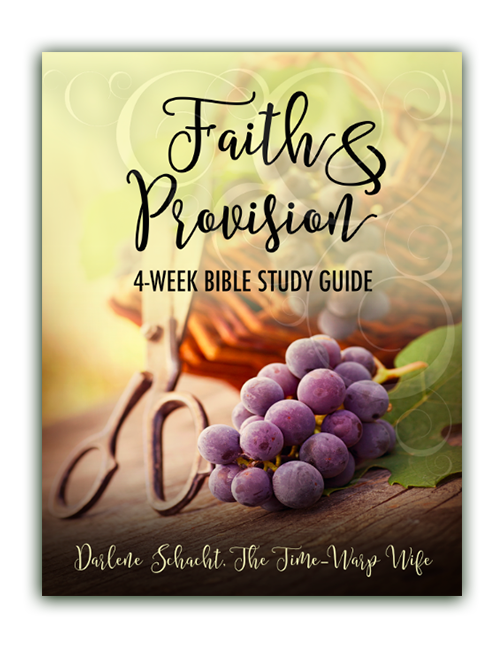 Faith tells us to step aside so that God can work through us. While I was putting the resources together this week, I had a strong feeling that many of you are experiencing a sense hopelessness. Perhaps not on a grand scale, but in one area of your life. There’s that one thing that’s weighing you down. That one thing that’s strained beyond hope. The enemy is in hot pursuit of your soul, and he’s dragging you down. Then I started to read, and the words brought life to my soul. I saw hope, revival, providence, restoration, and life in abundance. I saw God at work when all hope was gone. I saw the stench of death swallowed up by the power of God, and I knew that nothing is impossible to Him. And what did He ask of the Israelites when their backs were up against the Red Sea? What did he expect them to do when Pharaoh and his men were in pursuit of their lives? God is fighting for you whether you know it or not. Remember these words as you go through this week. Anytime you’re feeling the stress or the strain of a trial, remind yourself that God is at work in your life. He has the power to change things in ways we couldn’t even begin to imagine. He has the power to put down the enemy. He gives new hope where all hope is lost. Click the image to take a peek inside on Amazon! 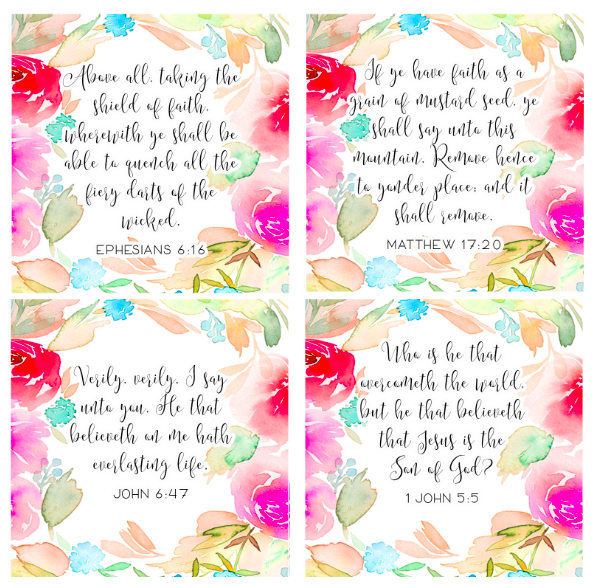 SCRIPTURE CARDS – the final 7 of 28. I have really ENJOYED each and everyone of your lessons that you have been sharing and so the pictures have been WONDERFUL too so keep it up !! Your a true blessing !! Thanks for the kind words, Karen! I’m glad you like them. You definitely touched the spot in my life where my husband and I both are going through difficulties. With my husband going through Stage 4 throat and neck cancer and after a week off of radiation and chemotherapy he starts back tomorrow. His neck was burnt so badly and still is he the doctor felt he had to take a break and after this Thursday he will be done. Then the Pet scan of his whole body to make sure they got it all. I’m so scared but I keep praying. I sometimes drift off when I’m praying and begin thinking about what I need to do for him. He has lost about 60 pounds now and he started at 260 but his face is where it really shows badly. I let Satan lead me into spending online for art supplies and also Christian books but way beyond what I need. I feel like I’m stuck in this spot and I can’t get free. The Rector at my church gave me absolution and also asked the Lord to forgive me and he’s going to spend more time with me next week. I am being dragged down more than I can barely stand. Thank you Darlene for your lessons, I really enjoy them and I’m trying to get back into my Bible journaling but like I said I feel stuck in this one spot. Linda, I’m so sorry to hear about your struggles and your husband’s pain. I pray that God will give you strength during this time and bring healing to your husband. 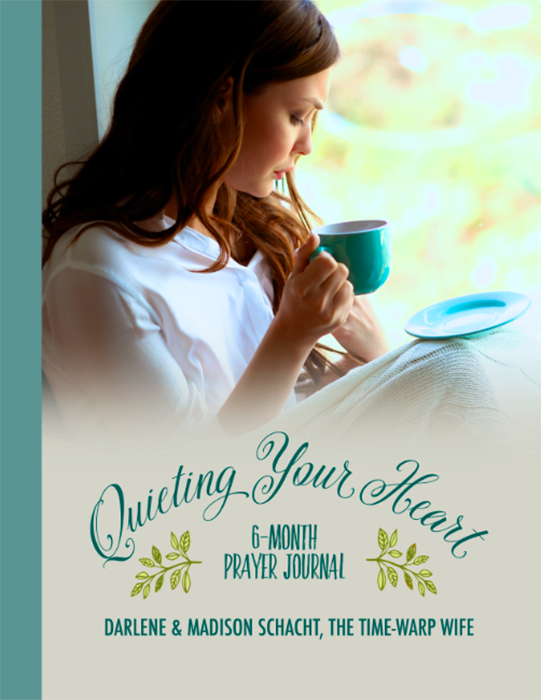 Thank you for writing this devotional – it really encouraged my heart for what I’ve been through recently. God bless you! 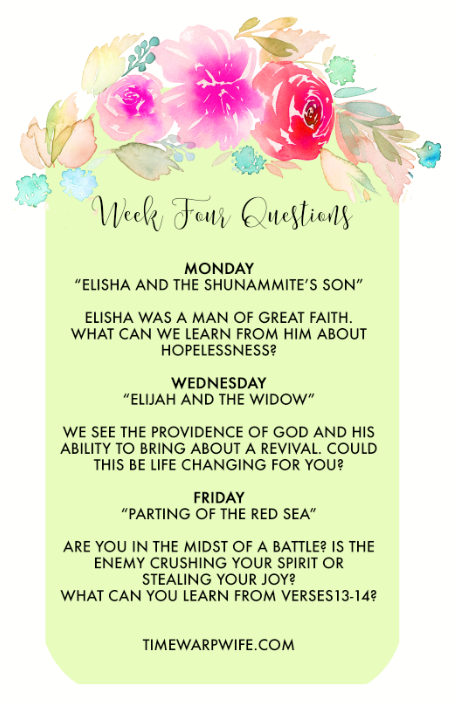 I was so amazed to find this in my inbox this morning, as I read your summary, especially about you feeling that the people reading are struggling this week, I felt as though God was talking to me through you. This morning I have been in a bad way, I’m fighting a flu, and generally just feel completely overwhelmed by the pace of life at the moment. There is so much that feels like it ‘has’ to be done, and I am feeling weak and unable. Exodus 14:14 was such a comfort to read. God is on my side, and I need to rest in Him and find my strength in Him. I often quote Phil 4:13 to myself, but I am realising while writing this, that I don’t actually have faith in that statement, that I am not actually believing that I can do all I need to through Christ. I have been feeling really bad because this was my first Easter as a Christian, and instead of really worshipping and praising the Lord and celebrating Jesus and the Resurrection, life got in the way, Satan found his way into my heart and put doubts into my mind. I am in desperate need of some quiet time with God and thankyou for helping me to realise that! 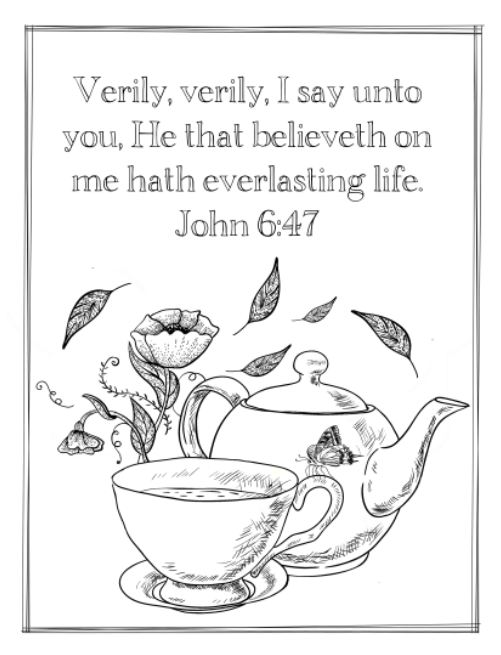 Sorry for the long and rambling comment – thanks for taking the time to share your bible studies. I love your long (and not so rambling) comment! I’m so glad that verse spoke to you. I needed it too. I don’t have face book got out permanently. Can you be reached through emails? Hi..am so excited I just received my 6 month bible study journal. 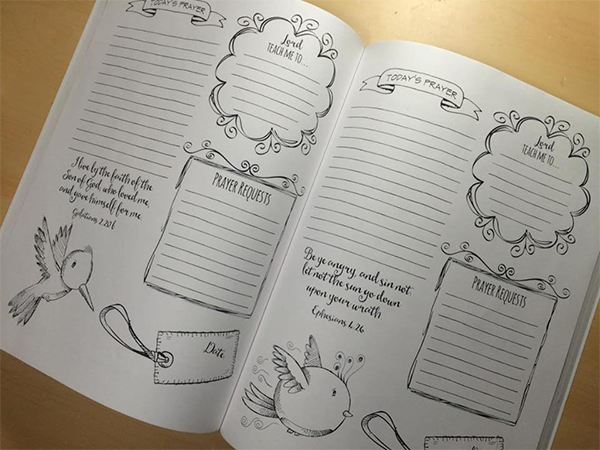 I have been wanting a journal like this forever.. Is it to late to join Faith and provision? Or should I wait for Your next bible study? We only have a few days left. I would wait for the next one that starts in about two weeks. Thank You for allowing me to join in. Looking forward to your studies. Thank you so much for the time and commitment you put into these lessons. God has used them in great ways in my life! I appreciate your answering the calling God gave to you! Thank you so much @Holly. Will you be continuing your Bible Studies throughout the rest of this year? I love having this group to go to and learning something new about the bible each month. Thank you so much for each one of these Bible Studies, I am finding renewed spirit and joy with the Lord and enjoying my Bible more and more! That’s my plan. I’ll be announcing a new one today that we’ll start mid April.